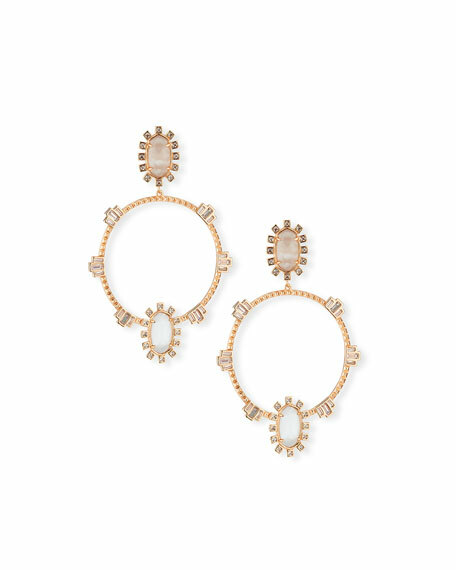 Kendra Scott "Gareth" statement earrings. Clear rock crystal and cats eye doublets. For in-store inquiries, use sku #2360718.